Xolisa Guzula is a biliteracy teacher and community trainer, researcher, storyteller, emerging author and translator of children’s literature. Having worked for both PRAESA and the Nelson Mandela Institute, she became one of the founders of the network of community literacy clubs emerging across South Africa. 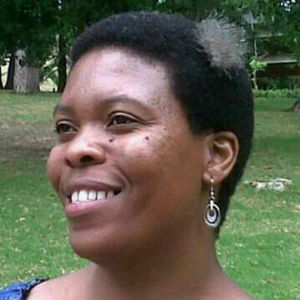 She is currently a doctoral student at UCT focusing on children’s translanguaging and multiliteracies practices. FunDza is lucky to have Xolisa – with her wealth of experience and expertise in literacy development – join the board. Her association with FunDza staff goes way back – as she and Dorothy Dyer (FunDza’s literacy specialist) attended a writing workshop together some years before FunDza even started. FunDza’s Inspiring Tomorrow journalist, Ndibulele Sotondoshe interviewed Xolisa some months back as part of the series. Read this fantastic article about her life Xolisa Guzula – Grounded by Xhosa roots. Sonja Kruse asked Xolisa some questions about her views on FunDza’s work. Here’s the Q&A. What would you recommend we do at FunDza to create a more multiliteracy culture? First would like to suggest that FunDza must get writers who write in African languages and mentor them together with those who write in English. There are a lot of African language youth and adults who contact me who would like to publish their works but come across publishers who do not want to publish in their languages. Secondly, I would suggest that FunDza experiment with designs of bilingual books so that books with two or three languages get published without separating them. We have to stop thinking monolingually. Next, I have listened to popular youth culture where they perform poetry in two languages. Get youth to submit bilingual poems and publish them. Is there an age group that you see as particularly vulnerable in South Africa when it comes to literacy? What can be done about this? I think there are a lot of interventions at the foundation phase level. Since early 2000s, efforts have been made to produce literature for children in the foundation phase. School support programmes also tend to work with foundation phase teachers to build strong foundation for the later learning. However, when the children reach the intermediate phase, they become more vulnerable because there is a switch in the medium of instruction from isiXhosa or other African languages to English. Often, children by grade 4 do not know how to articulate themselves in English orally and in writing. The demands at this age are higher. Not only do teachers teach through the medium of English, children also have to produce English in both oral and written form. The other factor contributing to their vulnerability is the fact that subjects increase from three to 6. Five of which must be taught in English. Now these children also lack appropriate literature that will get them reading in English as well as literature in isiXhosa. Many children in the township schools never get to read Novellas and novels as the children in ex Model C schools, where by grade 6 they read books that have up to 600 pages in English. Our children are still stuck on storybooks. African writers write in English and for adults, meaning there’s a gap in preteen literature. Therefore, there is no age appropriate progression literature for them. Lastly, literature that gets produced for bilingual children usually gets produced in separate bounded languages. Meaning that there are separate books for isiXhosa and separate books for English. Bilingual children need bilingual books as they tend to speak both languages. We need literature that’s geared towards bilingualism rather than two monolingualisms. During a FunDza ‘Reading for Enjoyment’ session at False Bay College, a group of isiXhosa first language students read a one page story in English. We unpacked the story with questions afterwards and 9 of the 12 students said they didn’t understand the story. Luckily we had the isiXhosa translation on our mobi site. One of the students read it out loud. Afterwards the students said that they didn’t understand the story in isiXhosa either as it wasn’t written in the way they speak. How do you think we can deal with the issues of translation? The issue of translation is a contentious one. Some people feel the need to protect standard languages, both isiXhosa and English or any other language. They argue that we should keep the languages stable, pure and construct boundaries between them, for the protection and preservation of the language. They want as little interference of other languages to their language as possible. Indeed they want their language to be distinct and separate from other languages. They also believe in the richness of their language, which they want to show in the book they are working on. This is understandable because African languages have been neglected for a long time and need to be well developed for the speakers, readers and writers to feel that they are valued. Also, languages used to be associated with a certain group of people who lived in a particular place and time where people understood the culture and artefacts often spoken about in communication as well as possessing the experience of living in that particular place. However, through migration, languages became mobile… people moved with their languages and met other languages on the way. Their languages been influenced by those languages and vice versa. Now the multilingual contexts under which many children grow up are very different from the monolingual contexts that the translators grew up in. Children growing up in this context use languages differently to communicate. They adapt their language to the situation they are in, meaning they use languages flexibly. They use both or all their languages to communicate, actually producing multilingual talk or one linguistic repertoire. Communication becomes more complex. Bi/multilingual speakers do not have two or three separate monolingualisms in their heads. They have one language system which draws on all the languages they know. Thus new varieties of isiXhosa or English grow into what is sometimes called Xhonglish, which is a home language of many isiXhosa/English bilinguals. This means languages have stopped being fixed, stable and boundaried but rather have become flexible, dynamic and hybrid. Now translators find themselves in a dilemma – they find themselves in a situation where they have to deal with mismatch between what is expected in publishing and the actual language practices on the ground. Should they stick to the pure standard variety, which many people do not use in everyday communication, or should they incorporate varieties of the language that people use? In a context of where pure standard languages are valued, you will find translators and readers who argue that we should ‘enrich’ our languages in writing and keep them as pure as possible on the one hand, and many readers who find the language too difficult, or archaic like Shakespearean English, that it discourages them from reading in the home language. These readers tend to find reading in English much easier, because English allowed itself to evolve from Shakespearean English to a much more easier variety. This is a dilemma for translators compounded by the fact that our children did not have a good basis of their language from the beginning. There is also too much pressure for children to know English at the expense of their mother tongue. It is no wonder then that they can’t read in the home language. Further to this Xolisa thinks that we can play with English. 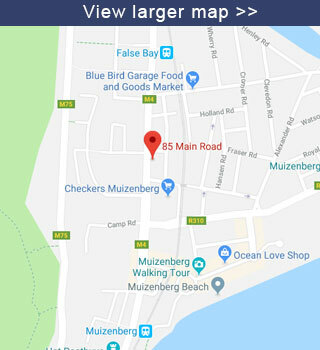 We can play using different varieties of English in the original text, something which can help the translator to incorporate different isiXhosa varieties in the target text. This gives the translators much more flexibility particularly because if English is used this way, they feel at ease at writing in this way in their language because of power relations. We can’t keep the English source language pure and keep the isiXhosa target language colloquial. We must also understand that schools and the education system have devalued African languages and this has led to many children reading more in English than in their languages because English text are more readily available than isiXhosa texts.